The state of construction in Silicon Valley is still awfully slow but it is very gradually picking up. This is my observation as an architect who has been in private practice in the area for the last 26 years. The office phone is starting to ring with owners calling about small projects and T.I. projects that they need right away. Not uncommon normally, but particularly noticeable in today’s market are owners attempting to fly under the radar without building permits. Owners and sometimes tenants, initiate minor, and some not so minor, building alterations without permits. This has always occurred to some degree, but perhaps because of our tight economic conditions I’m seeing it more and more. I’m not suggesting that this is something that an owner should do, but it is a fact of real life in the real estate world. More so than in previous recoveries, we’re getting calls from owner’s who have started or completed a project without permits and have gotten caught and need help getting them permitted retroactively. I don’t know if the building departments are attempting to create more work or not, but it seems odd that we are getting so many red-tagged projects, considering how the local building departments are short staffed. We recently helped an owner who had remodeled the upper floor of his Santa Clara office building eliminating the hallways and adding that area to the tenant spaces so he had more leasable square footage. On the surface, this might sound like a good idea from a business perspective, however from an exiting perspective, it created serious life safety violations of the City building code, and when discovered, the building Department gave them a deadline to correct the conditions. The process that was necessary to obtain permits was to draw the building and site plan as if we were submitting it for the first time with the hallways shown in a legal configuration. This was almost exactly as it was before the alteration was done. Of course this brought up the issue of building accessibility for disabled persons. Fortunately, the project was so small that we were able to avoid an entire remodeling of the toilet rooms. We were only required to stripe an accessible parking space and van aisle and create a curb ramp. And on that note, I was just talking to one of our general contractors recently; he was telling me about a 10 unit R&D building that had some un-permitted changes in one unit. The Building Department was going to make them upgrade all 10 toilet rooms. I guess it took weeks of email barrages quoting code sections and face to face negotiations to make them drop the requirement back to upgrading the one toilet room in the unit that had changed. On another project done without permits, we just recently had a meeting with an inspector from the City of San Jose at an apartment building that had a parking space that had been enclosed to create a leasing office and another space that had been enclosed for storage. The changes were done decades ago and even by the prior owner, but the City did not care, they were discovered and needed to get permits. San Jose has a code enforcement division dedicated to this sort of thing. Fortunately in this case, the apartments had enough parking spaces that parking count was not an issue. This made it much easier to obtain approval from the Planning Department, which is the first step whenever you are dealing with exterior changes. 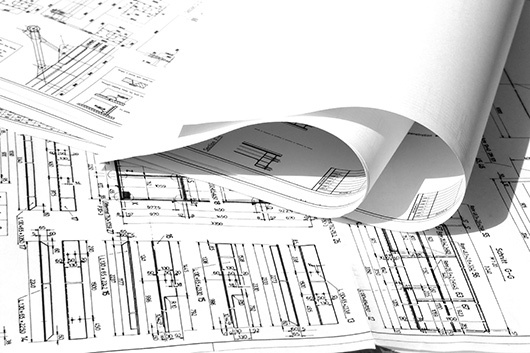 For building permit submittal we will only need to provide some drawings showing what was built. We will have to open one wall to make changes, and we’ll show one door opening filled in from the office to the manager’s apartment. The inspector was actually quite helpful. We also were recently involved with a home remodel in Los Gatos where some relatively minor interior work had been done without permits and they had been red-tagged. They were on a dead end street in the foothills with only five houses beyond them. The problem was that they piled their construction debris in the front yard for weeks. Either an annoyed neighbor called the Town, or a building inspector drove by and shut them down, so take note of construction debris. Again, we had to meet with the Chief Building Official, prepare plans as if the changes were new, submit for a permit, and have the work inspected by the building inspector. In summary, as an architect I would advise you to follow the straight and narrow and to go through the permit process. You’ll sleep better at night. But if you do decide to do work without permits, my best advice to owners that are contemplating an attempt to fly under the radar on a residential alteration or a commercial interior T.I. alteration without permits is this. If you don’t want the cost or can’t afford the delay that permitting invariably entails, still make sure you do the improvements to code. If you should have the misfortune to be red tagged or be sued by a tenant or a disabled person, having done the improvements with the required legal exiting, accessible path of travel and other requirements will save you having to tear the whole thing out, get permits and start over – not a good option. Life safety issues are at the heart of the building code and is the area that the enforcing agencies stress the most. However, in this day and age, you’d better have the disabled (ADA) accessibility requirements covered also. So, if you are going to fly under the radar and are doing it to avoid a serious code issue you are doing so at your own peril. But in any case, make it safe and build it to code. It’s safer for you, your tenants and guests, and eliminates a big liability for you if you ever decide to sell the building. So be particularly careful when changing anything that could be considered a path of travel to an exit, and watch out for changes in buildings equipped with fire sprinklers. New walls can change the spray pattern and coverage of the sprinkler heads and can get the attention of the Fire Marshal as well as the Building Department. Best of luck . . .and keep it safe!